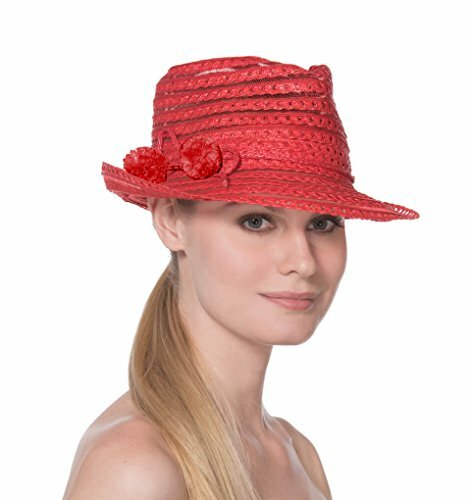 A small fedora of nylon hair and Squishee• has a pom pom tie to one side.This charming hat is a fashion accessory and should not be used for sun protection purposes. Lightweight and packable. Elasticized inner band fits most. This charming hat is a fashion accessory and should not be used for sun protection purposes. Lightweight and packable. Elasticized inner band fits most.